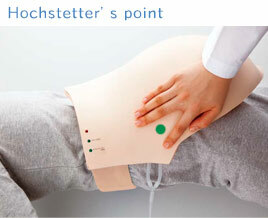 Reproducing Clarke's point and Hochstetter's point. 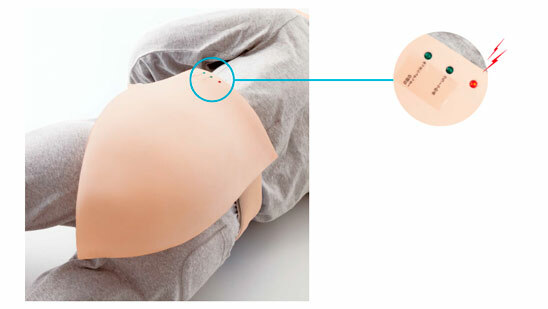 Fit-on type intramuscular injection of buttocks simulator. 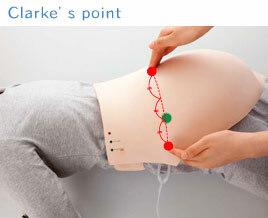 Fit the model on, students can learn patient's feelings of anxiety. Lamp and buzzer warn in case of incorrect injection. The special material of the skin allows no needle mark.